From the top down, this new piece of patrolling arsenal has been designed with you in mind. You had visibility; Segway made you more visible with über-reflective shields. You stuck your organization insignia wherever you could; Segway created a better place for it. You wanted to carry more; Segway made the front bag bigger. You wanted to feel okay about dumping the unit if you had to; Segway added a bumper that enables you to do just that. 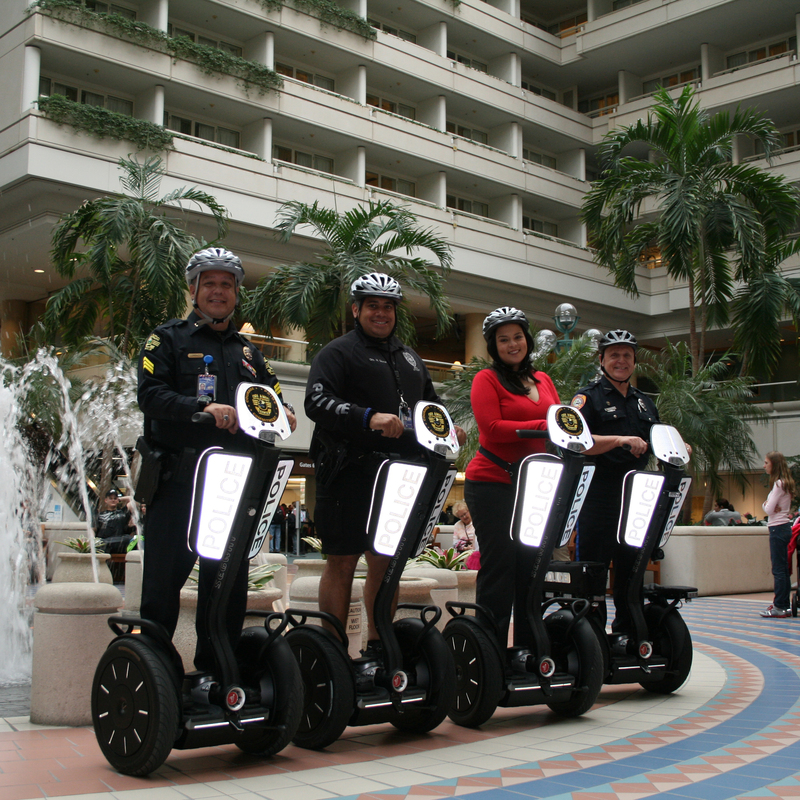 Take a look at the enhancements and you get why the Segway PT is the best choice for moving officers around and keeping people safer. In an emergency, every second counts, and maneuvering through a crowd takes extra time. 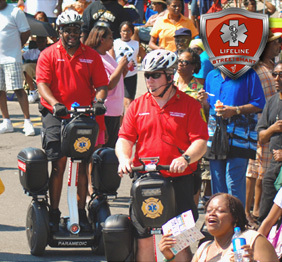 Riding a Segway PT makes you 8″ taller and lets you see above the crowd so when you’re trying to reach a patient in distress, that extra height is invaluable to your line of sight. This translates into getting there faster. Plus, because the Segway PT is so easily maneuverable, you can be right in the thick of things instead of staging on the periphery which would add to your response time. And with the 360° visibility of the StreetSmart® Light Bars, the scene is easily targeted for your backup team. The StreetSmart LifeLine® Med Bags allow you to organize and carry ALS equipment right to the patient. Because Time Matters.